After several years of losses, the Hungarian LCC has turned a corner having Europe’s lowest cost per passenger mile in 2013 (lower than Ryanair) and has launched medium haul flights to Dubai, Tel-Aviv and Baku as well as intensified their base footprint in Sofia, Bucharest and Kiev. CEO Jozsef Váradi, a former Malév Hungarian Airlines executive, was featured on the front-cover of Forbes magazine in Hungary. WizzAir has exploited Budapest as a hipster, back-packer, low-cost Weekender destination too. We’ll see if they can keep going in 2014. Going from strength to strength living off the public purse, Turkish Airlines now flies to more countries than any other airline in the world. Next challenge: ground services at the chaotic Ataturk Airport and managing their difficult and poor quality ground services partner. While Lufthansa has received much criticism from me this year, Munich Airport continues to be a joy to transit through and the Lufthansa ground staff continue to keep me loyal – professional, friendly and efficient. Shame about the frequent flyer program getting worse and worse. Joint winners here. Once you do get to BA’s Silver status (OneWorld Sapphire), you benefit from their very comfortable and well-stocked lounges at Heathrow Airport. Understated British service, good food and wine and great technology. What a pity that flight delays are so awful at LHR, I’d fly way more often with BA otherwise. Not only do Turkish Airlines lavish you with food and drink aplenty on board, for their premium customers and Star Alliance Gold elite flyers, they have an outstanding lounge at IST. Pool table, cinema, child’s play area as well as bedrooms and showers, the food selection is streets ahead of their competitors (two hot food stations, a tea/pastries/cake station and plentiful salads) as well as lots of staff on hand to tidy up after you. The one downside: entrance to the lounge – policed by pretty poor receptionists. I may be considering taking my business elsewhere from Lufthansa Group in 2014, but it won’t be because of their cabin crew who despite the decline in in-flight service, have maintained a level of professionalism and friendliness that remains the industry standard in Europe. They have gone from priding themselves on friendly, inclusive in-flight service to charging for hot meals in economy (which no one buys) and 60 day, yes 60-day, cycles in business class menus in Europe. They have introduced a Red Ticket pricing scheme offering heavily discounted tickets…even though there are no serious LCCs operating out of Vienna. Ground services are also getting worse…quickly. 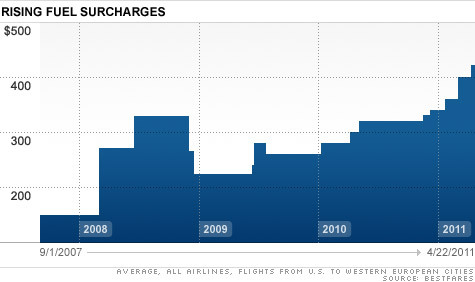 The airlines are at it at a record rate sneakily transferring ticket price into “surcharges” and making it look like governments impose the charge. This is on top of record income from charging to check in bags. No surprises that Alitalia was doing badly again. This perennial loss-maker was desperately sold to Poste Italiane in a back-door state aid by the Italian Government. We’ll see if the EU will let this one happen. As fully expected, Air France/KLM made huge losses in 2013 as this inefficient behemoth of the airline business lurched from one bad idea to the next. How they manage to turn this around is not clear. Copycat Tactic of 2013 – Germanwings and Hop! In a desperate bid to stop the bleeding, Lufthansa Passenger Airlines and Air France/KLM both launched ‘low cost’ carriers operating out of their secondary hub airports. Lufthansa’s schizophrenia is especially bad given that they have tried to pride themselves on ‘premium’ service. A bad, bad move. I’m confident it will be reversed. 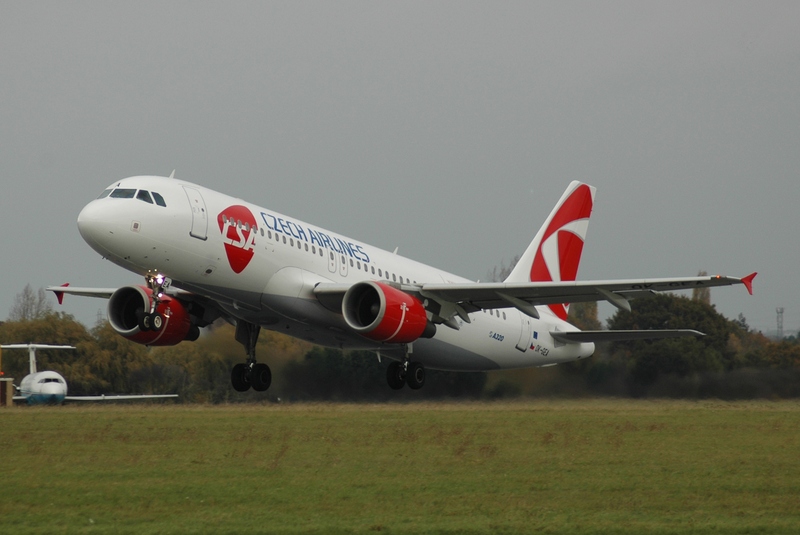 The Czech Republic’s basket case was bought by its Asian SkyTeam partner. Short on logic and long on optimism, the deal enables CSA to operate a leased A-330 jet as a codeshare with Korean to Seoul. Korean Airlines has reduced its frequency to Prague. And the point is? The crunch on MAM frequent flyers continues as fewer and fewer miles are collectable in discounted economy class tickets (that aren’t so cheap) and the decision to only offer 25 percent status mileage for MAM passengers flying Turkish Airlines. The result? More passengers defecting to Turkish Airlines. Dumb, really dumb. An airport with a terminal already too big for its modest needs Sofia has also to thank it’s Airport Authority for raising charges to airlines to use it’s terminal jetways. Cash strapped carriers like Austrian who fly several times a day to Sofia are now parking on the apron. Bad news for passengers – they take a bus to the terminal. Bad News for Sofia Airport. The Gulf airlines (Emirates, Etihad, Qatar) all continue to march on threatening European carriers routes to Asia offering discounted tickets in economy class (with better in-flight service and entertainment) and far superior service in premium cabins. Etihad continues to their expansion in Europe by launching their European-only service. Qatar joined OneWorld and Emirates, just keep being Emirates. They are barely surviving on state aid and going through the typical cycle of top management changes. Ryanair has started operating domestic flights in Poland – LOT’s bread and butter. They may be saved in 2014 by a general election but not much left after that to keep them going. A wealthy Norwegian businessman with money to waste (apparently) has launched an ambitious two-front attack – LCC within Europe and long-haul by flying 787s to Asia and North America. We’ll see if the cost advantage Norwegian Shuttle has will be able to count on long-haul flights. They’ve already almost killed SAS Scandinavian Airlines. In an attempt to increase capacity and reduce costs, airlines are now introducing 10-wide seating on long-haul planes making seats the narrowest they have been in decades on long-haul flights. As passenger defections from ‘full service carriers’ (FSCs) continues, expect LCCs to offer more comfort at the front of their planes with newer, comfier seating, access to airport lounges and more. Air Asia already does this, Norwegian Shuttle are introducing it in long-haul and in the US, JetBlue has begun retro-fitting their planes with lie-flat seats. The race to the bottom by FSCs is becoming self-defeating since LCCs can offer higher comfort at a fraction of the FSC cost.